Continued traffic impact concerns about the potential Lakeview/Eaton 40B development were the focus of the Zoning Board of Appeals (ZBA) on September 5. 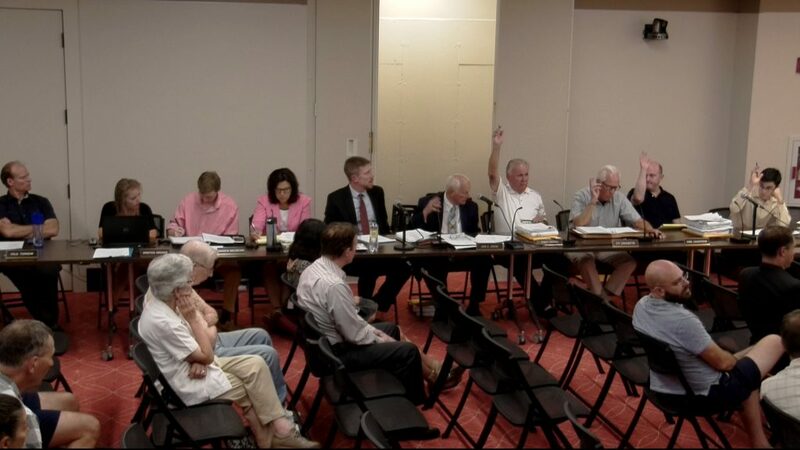 The continued public hearing about the proposed 86 unit development was held at the Reading Public Library and was attended by more than 30 people. The traffic study peer review has been conducted by the town and a meeting was held on August 14 between town representatives, the developers, and the neighborhood to discuss strategies regarding traffic flow. The developer’s traffic consultant Kim Hazarvatian argued that while the number of car trips generated from the proposed development appears large, the actual percentage of increased traffic is small. Neighborhood residents still question the completeness of the studies. Assistant Town Manager Jean Delios reported that the concern of town government is how to manage the increased vehicle trips. Several suggestions were made at the August 14 meeting, including prohibiting left turns from Lakeview Avenue onto Walker’s Brook Drive. Neighborhood representative Boriana Milenova stated that she felt strongly that a left turn restriction at the already-busy intersection would just reroute traffic back through the neighborhood. Residents also reported that the recent left turn restriction at the corner of Green Street and Main Street is routinely ignored by drivers. ZBA member Damase Caouette suggested the possibility of a temporary left turn restriction, in order to gauge its effectiveness. Attorney Jesse Schomer, representing the developer, responded that this idea had been discussed, but many believed that these temporary measures could simply become permanent. Delios stated that a wider plan should be created for the entire Walker’s Brook Drive corridor and that the developer has already agreed to help with the financing of a wider area of study. There is a Development Review Team meeting scheduled for October 3, where this issue will be discussed further. The developer of the project has submitted a list of proposed zoning waivers to the town all of which will be discussed at a future ZBA meeting. The ZBA also voted 4-0 to give permission to town staff to come up with a revised scope for the engineering peer review study of the project. The developer will be required to place the money to finance the engineering peer review into a holding account. The public hearing for the Lakeview/Eaton 40B was continued to October 24. The ZBA adjourned at 9:25 pm.